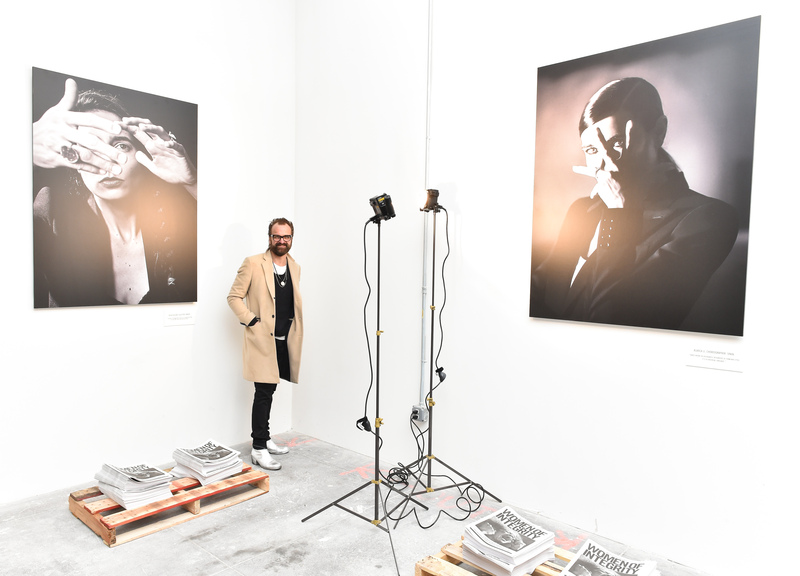 The Absolut Elyx and Vogue Italia “Women of Integrity” photography exhibit took place on February 17th in SoHo, New York at Spring Studios. The event was hosted By Johan Lindeberg, Creative Director of Absolut’s new luxury vodka, Absolut Elyx and Franca Sozzani, Editor in Chief of Vogue Italia. The photography exhibition, which debuted Tuesday evening during New York Fashion Week, features portraits of 16 inspiring women from 16 different countries. The exhibition features a cadre of women from around the world with a range of experience, success, voices and visions. They represent the diverse strength of women of the world today, and how they lead their lives with integrity in the current global climate. 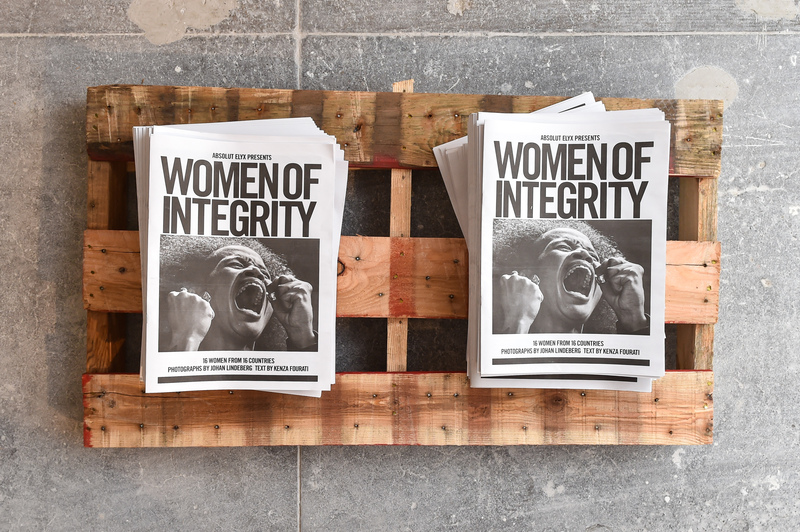 The 16 women are portrayed in large-scale black and white exhibition prints by Lindeberg, and profiled in interviews by Kenza Fourati in a special newsprint magazine made available to guests at the launch event. 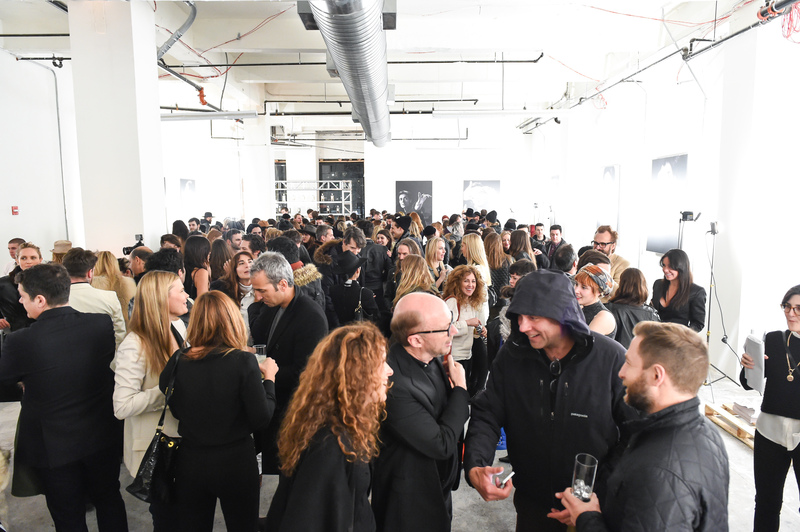 The event was attended by celebrities, influencers, and tastemakers from the art and fashion world. 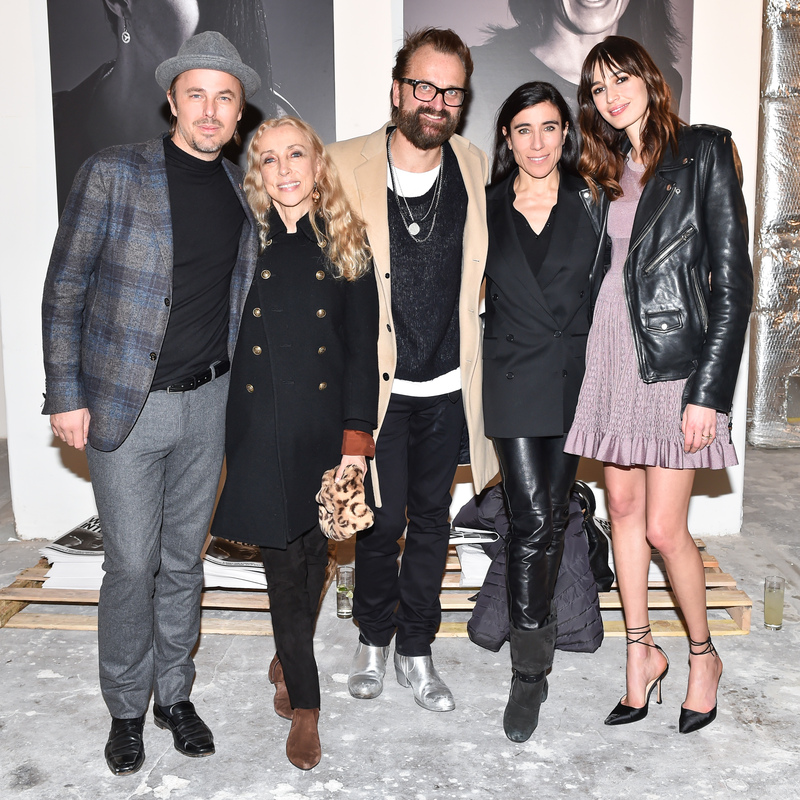 Guests included Kenza Fourati, Blanca Li, Johan Lindeberg, Jonas Tahlin, and Franca Sozzani, pictured above. The subjects featured in the photographs span from Cuban activist, Yoani Sanchez to Dr. Bahija Jallal – Executive Vice President, MedImmune, responsible for biologics research, development and clinical activities and Elif Safak – one of Turkey’s most distinctive voices, who is also the country’s bestselling female writer.